Midlands-based manufacturer JA Envirotanks has announced it has signed a deal with electrical and mechanical engineering specialist Aidan Strain, to deliver six vertical single skinned tanks of various capacities. 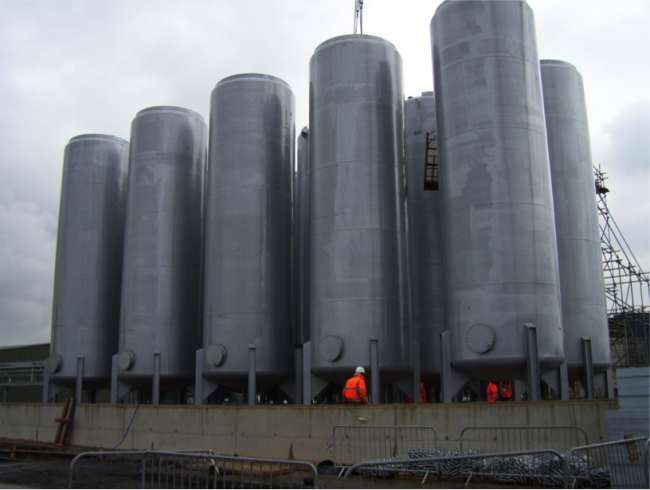 The tanks will be used to hold fuel for back up generators that ensure power availability and business continuity for data centre developments near London. Aidan Strain has recently won the contract for the fit out of containerised generator sets along with controls and fuel supply. Delivery of the tanks from JA Envirotanks has already begun and will continue until the end of 2018. Part of the OSSL Group, JA Envirotanks is a leading manufacturer of bunded steel tanks for use in various industrial and construction applications. JA Envirotanks has an extensive relationship with Aidan Strain and has supplied tanks to them for more than eight years.